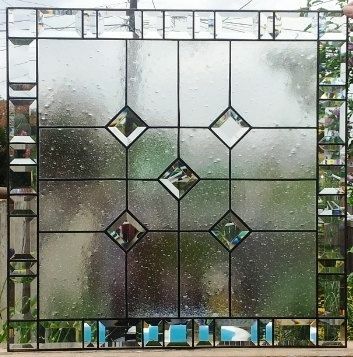 This elegant window is the result of the balance achieved by its components: bevels, diamonds and an opaque background. 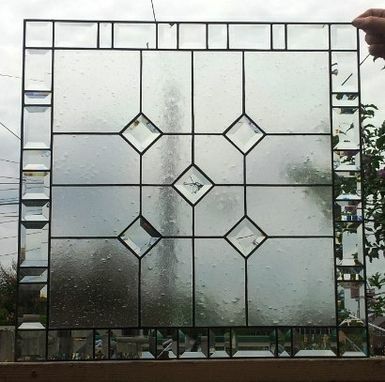 Glass: For this piece we used Satin Seedy glass for privacy and Clear bevel glass for the diamonds and border. 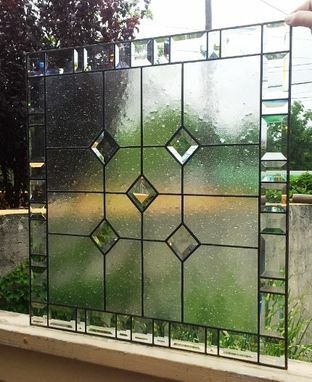 The size of this window is 23" X 23" square but can be made in many sizes. 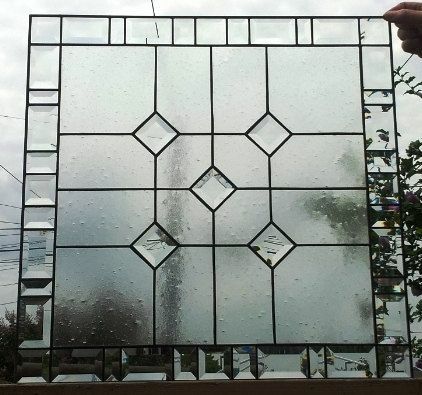 We have several pieces, apart from this one, that were made in order to keep our customers' privacy so, I recommend you to take a look at our shop and choose the one you like the most!